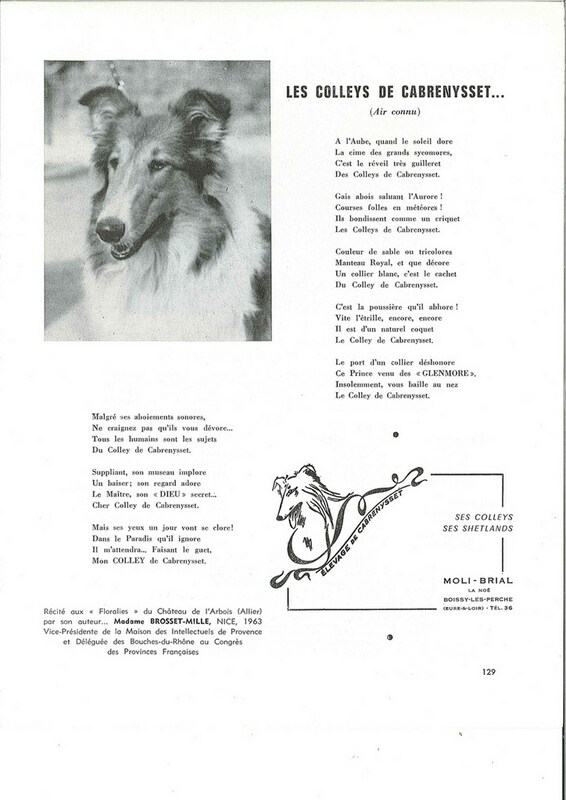 A delightful poem to the glory of the Cabrenysset collies! Madam Brosset-milepoem, Vice-President of the House of the intellectuals of Provence, delegate of Bouches du Rhône at the Congress of the French Provinces. This poem was recited to the Floralies of the castle of Arbois (Allier) by its author... in 1963! It dared everything, at this time! Sophia Loren shared coverage of dogs 2000 with Polley of Cabrenysset!